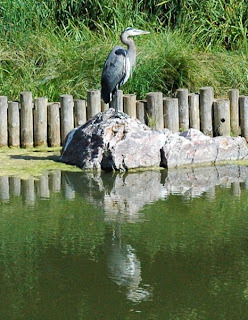 This Blue Heron was perched on a rock as we wandered near a lake at the Chicago Botanical Gardens. I was regretting only having the 60 mm macro lens but made the most with what I have. 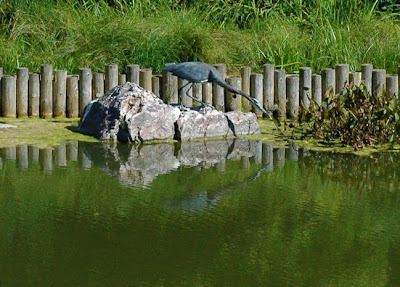 To the left the heron is perched on the rock. I think he was posing for the various people taking his picture and watching him. The photo below you can see that he is looking for fish. There were so many fish in this pond so I'm actually surprised there weren't more herons and other fishers. Thanks for sharing your story. Just incredible peace shines from your shots. 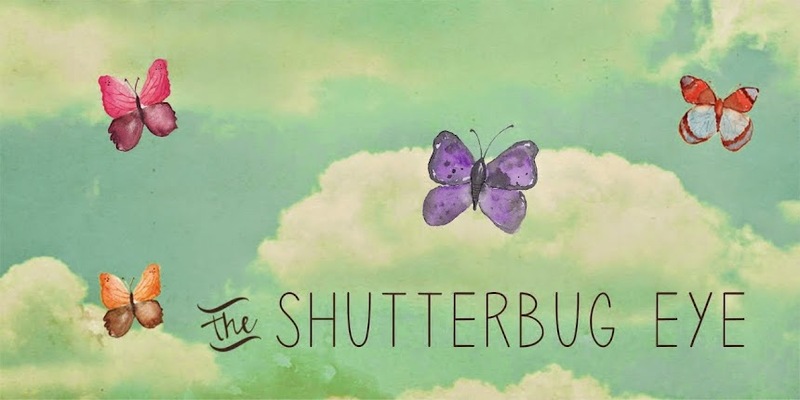 Your photos are as beautiful as informative. It was great pleasure to come here and wander around together with you. Thank you. The wing span is amazing. Such a beautiful creature. Thanks for the code in advance.. Thanks, I really like herons. These are spectacular shots of this bird. I especially like the one where it has its wings spread. 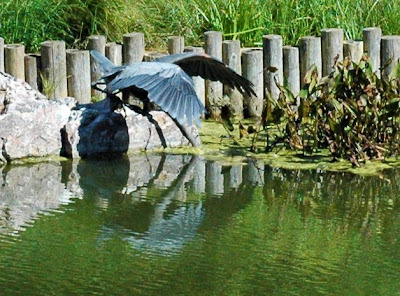 I love blue herons. I see a lot of them, but they are always too far away for my little camera to get many clear shots. I hope to change that very soon.